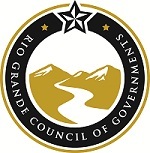 The Rio Grande Council of Governments, commonly referred to as the RGCOG, is a voluntary association that was created in 1967 to provide continuity to governing and planning between state and local governments. The State of Texas passed the enabling legislation to create such organizations to provide services and aid to local governments. The RGCOG serves 33 local governments, seven county governments, 12 municipalities, and 14 special districts. The Council of Governments is governed by a board of directors that is comprised of 19 local officials from the area.